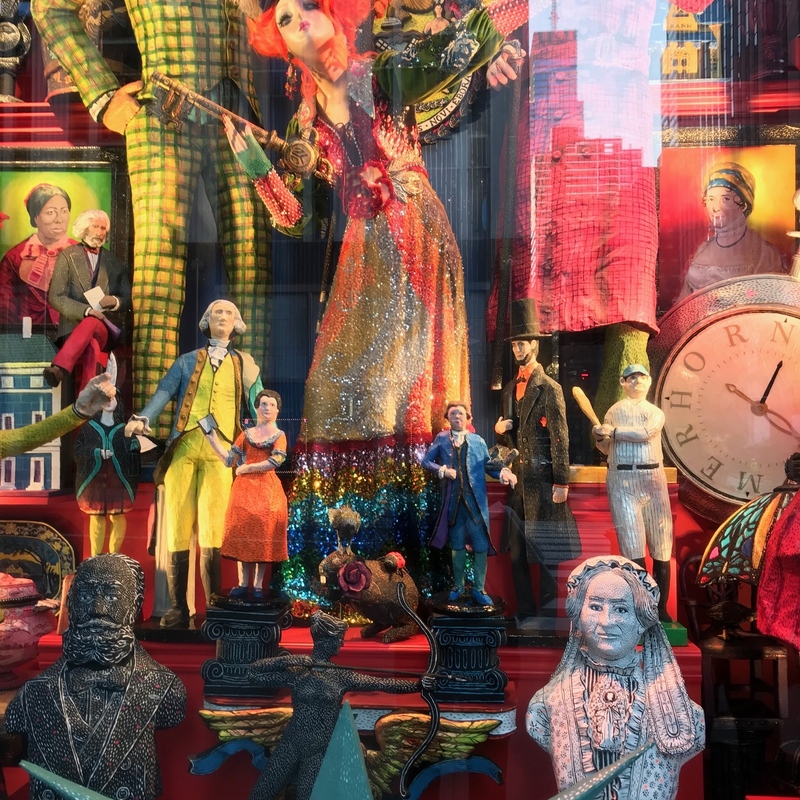 A tour of the magical holiday windows is an annual must. 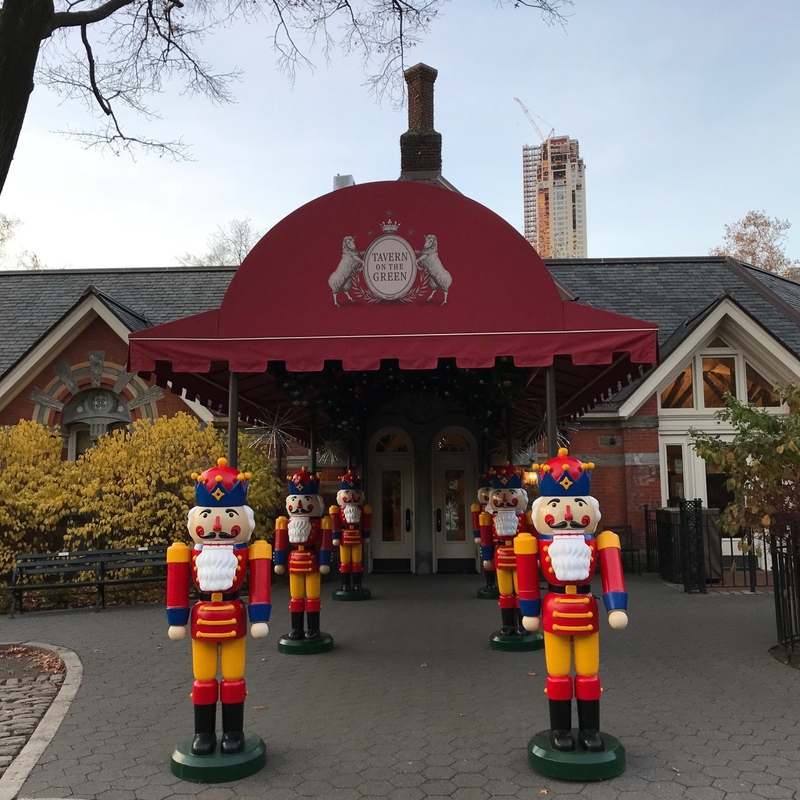 We commence our journey at Tavern on the Green in Central Park where we received a warm welcome. 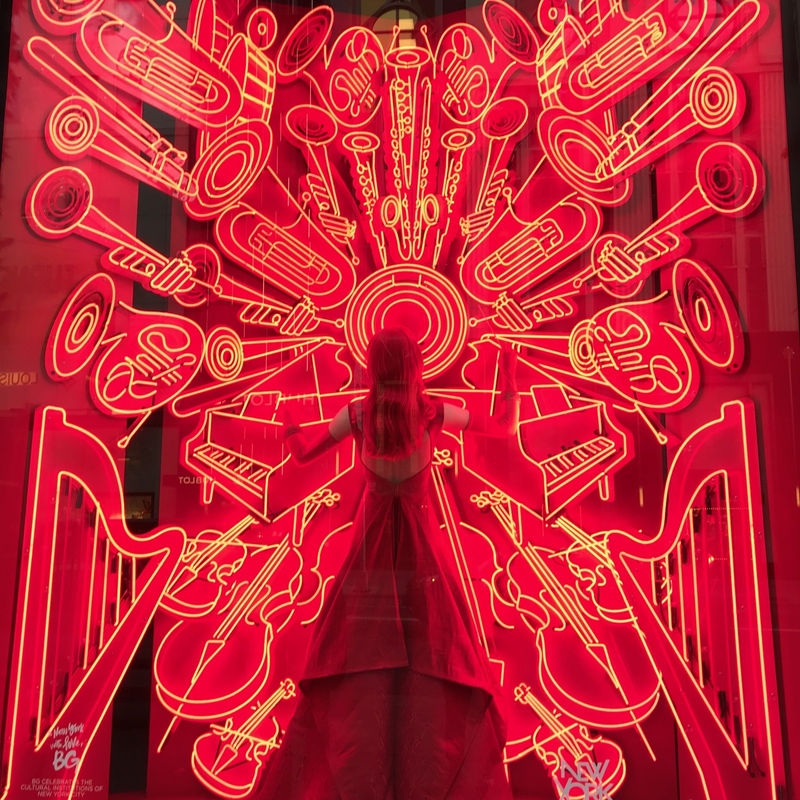 Nothing beats Fifth Avenue’s window dressing. 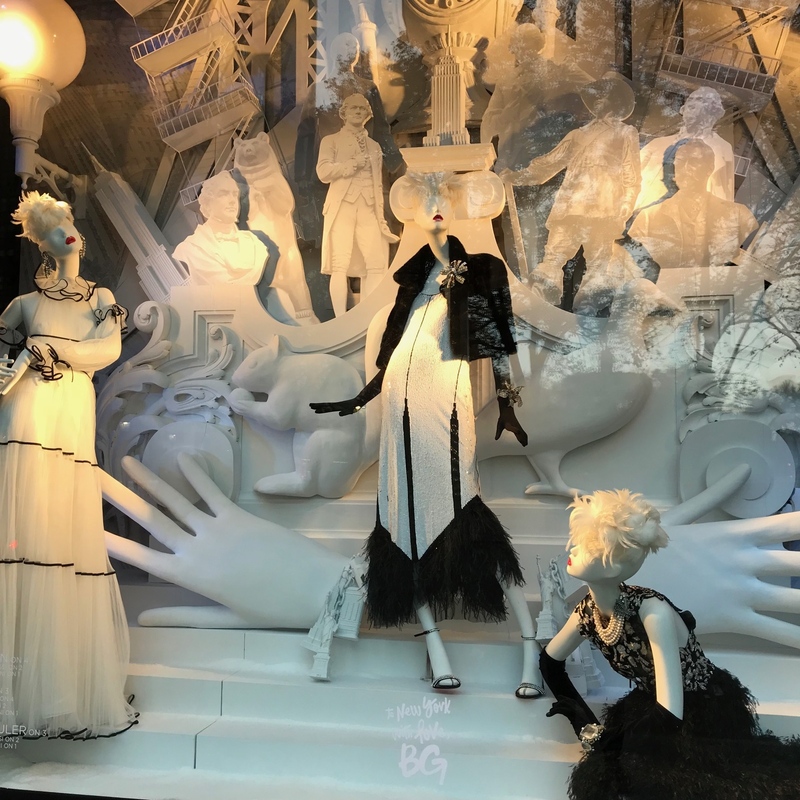 As usual, Bergdorf Goodman is awarded First Place honors. 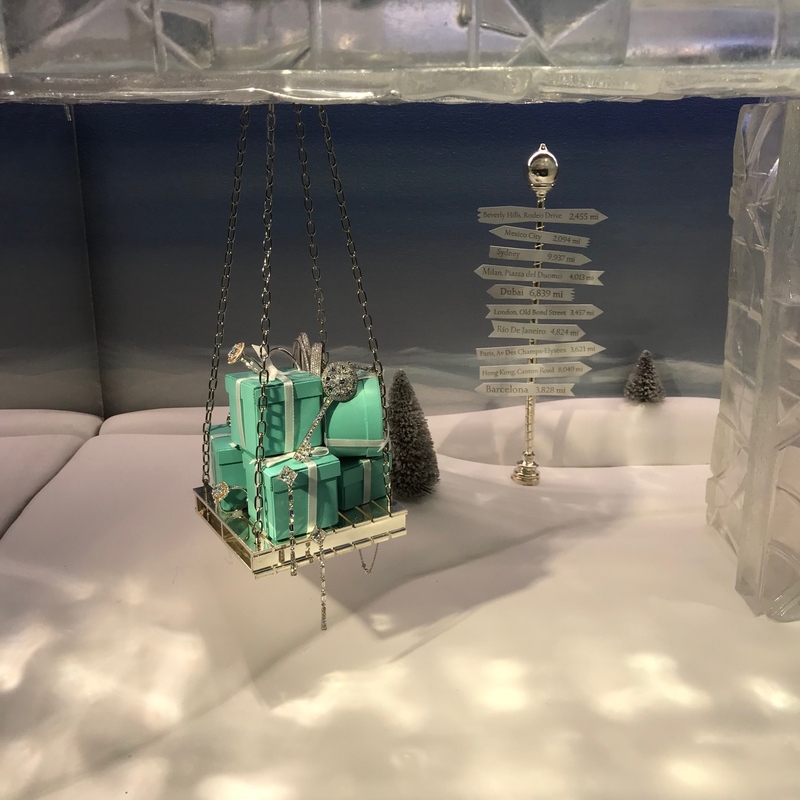 This year, the windows represent iconic NY institutions such as the NY Historical Society. 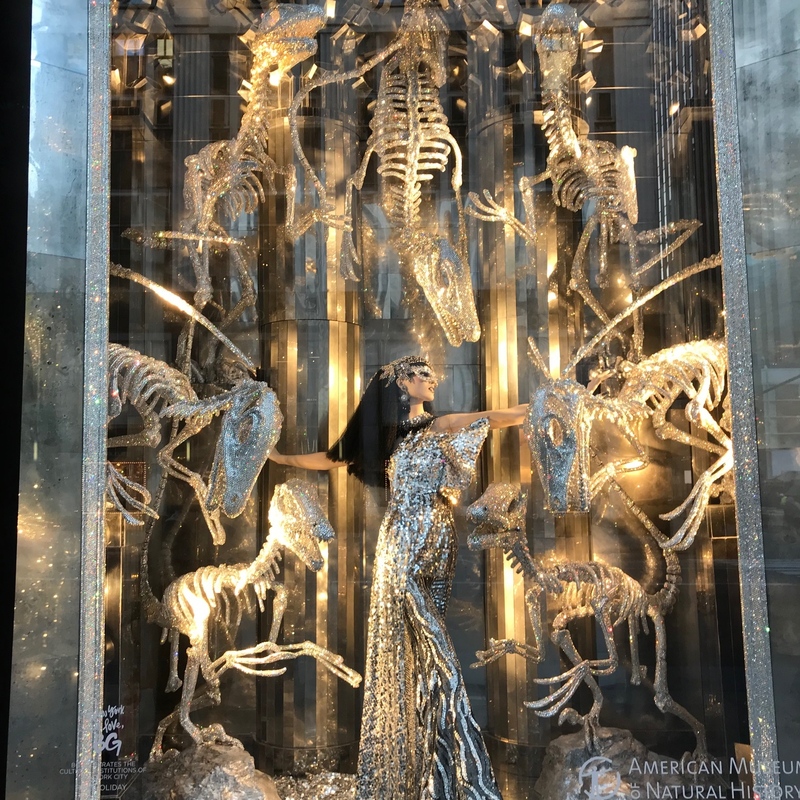 A glittering salute to The Museum of Natural History. 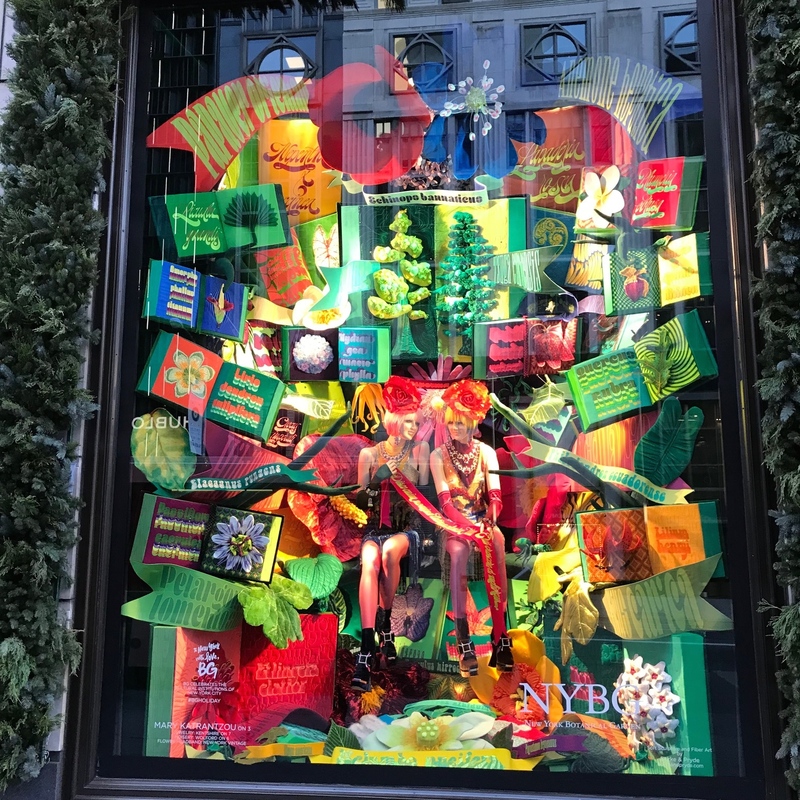 A colorful nod to the NY Botanical Garden. 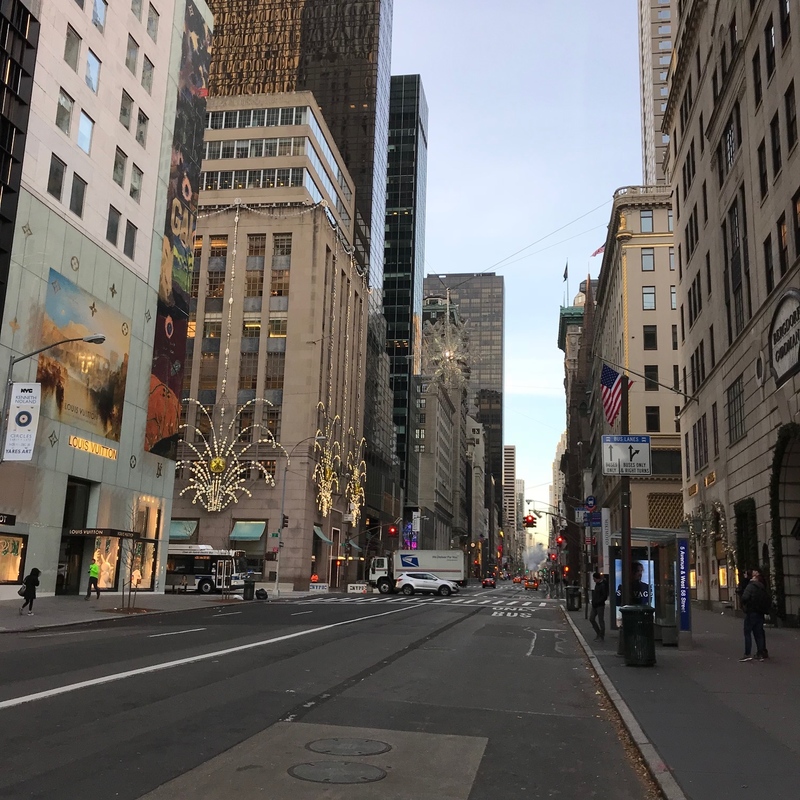 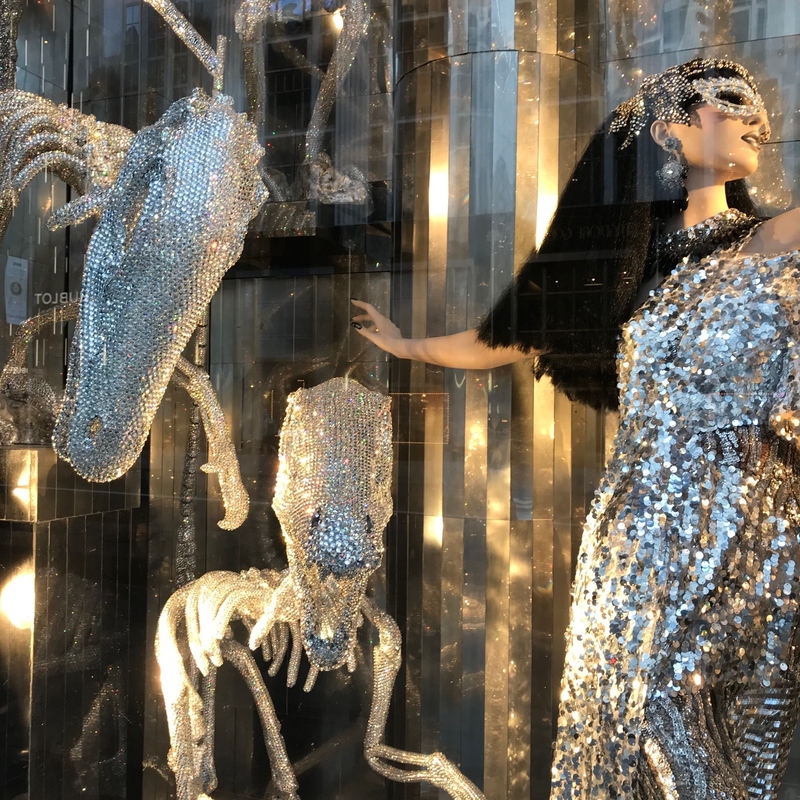 And, of course, Bergdorf’s flash of fashion bow to Manhattan. 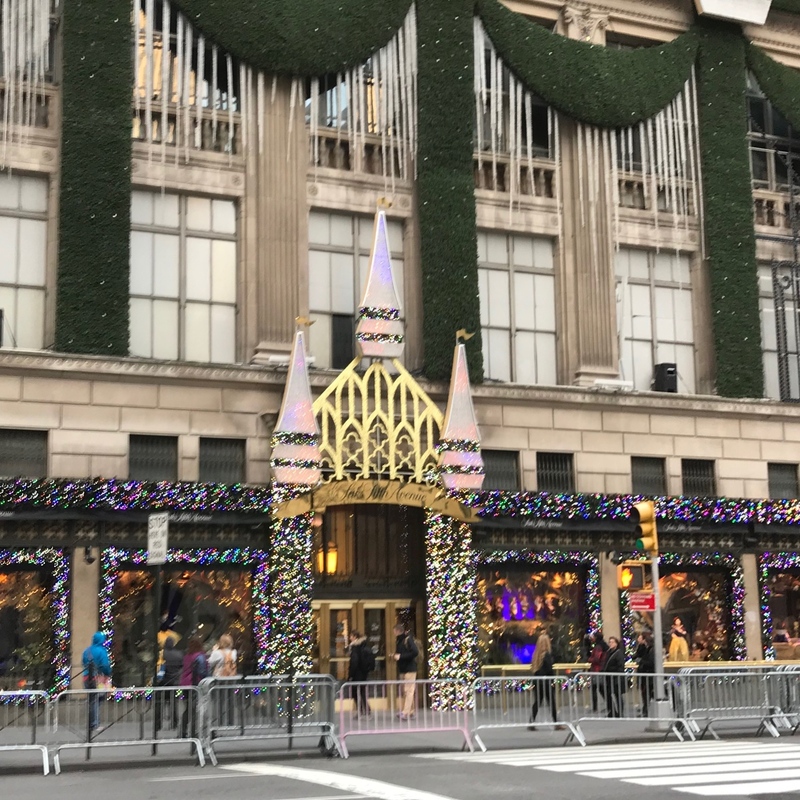 Across the Avenue, Tiffany sparkles. 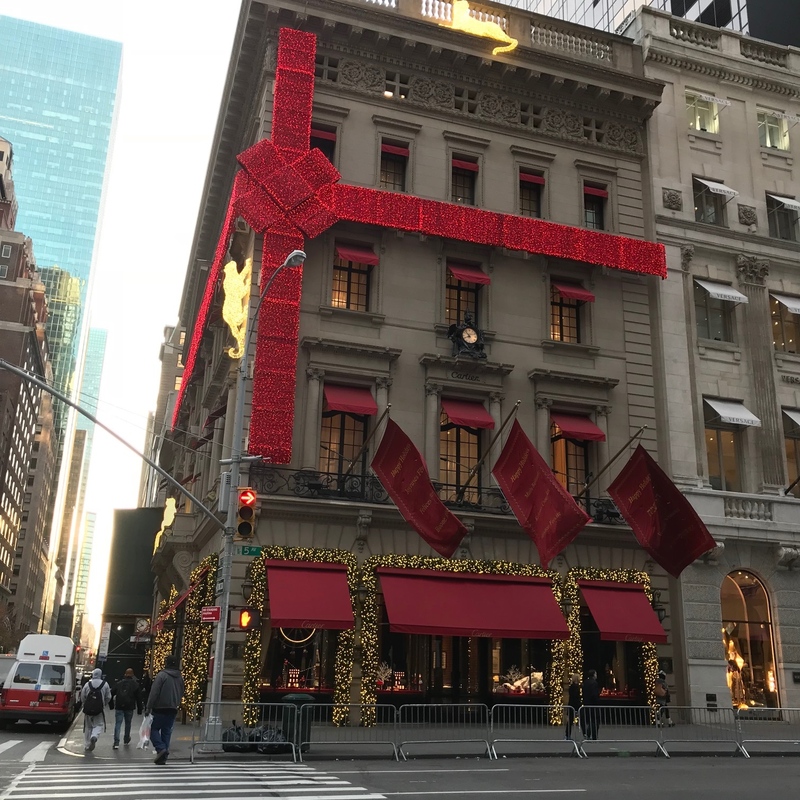 Cartier represents holiday opulence with preening panthers accented by red velvet. 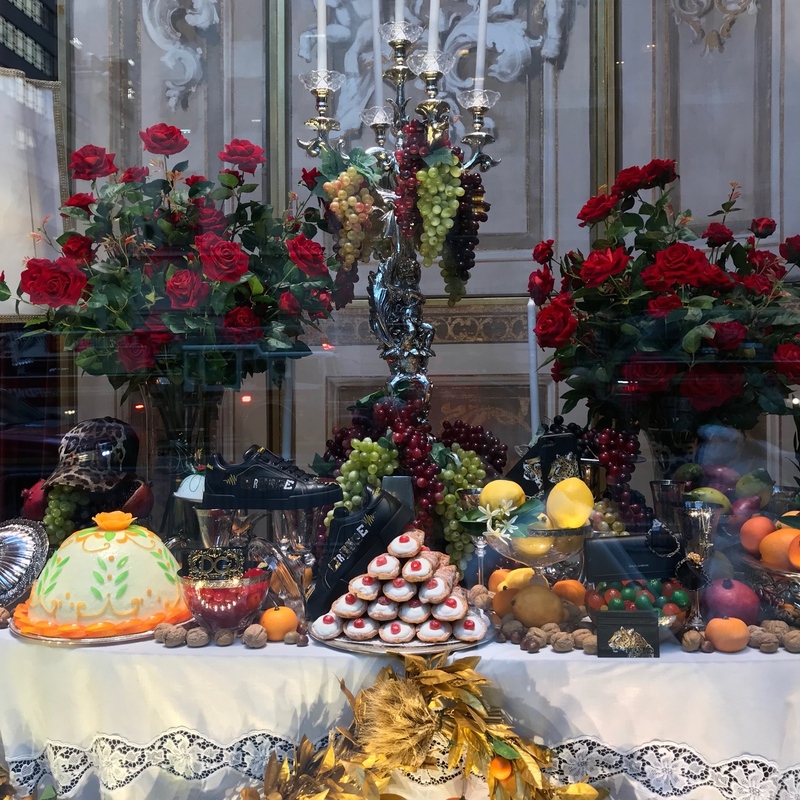 Dolce & Gabbana showcases the holiday’s culinary grandeur. 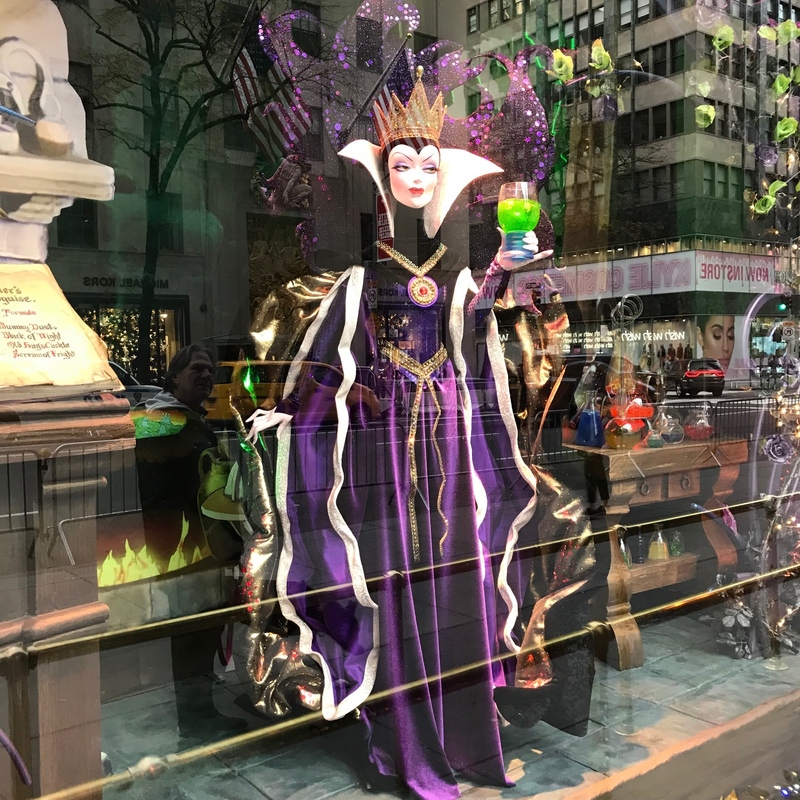 Saks is all about Disney. 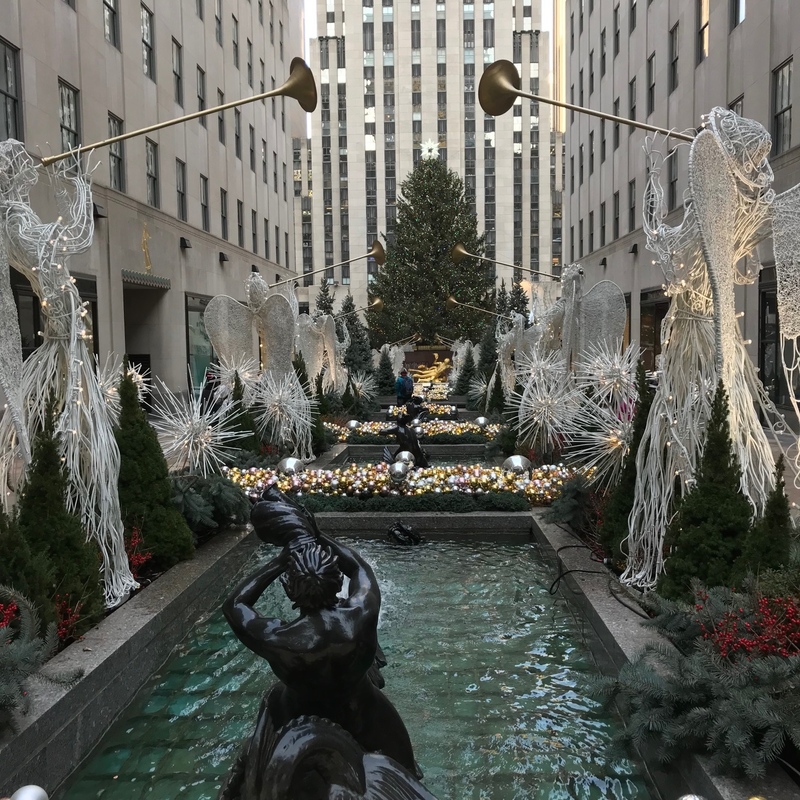 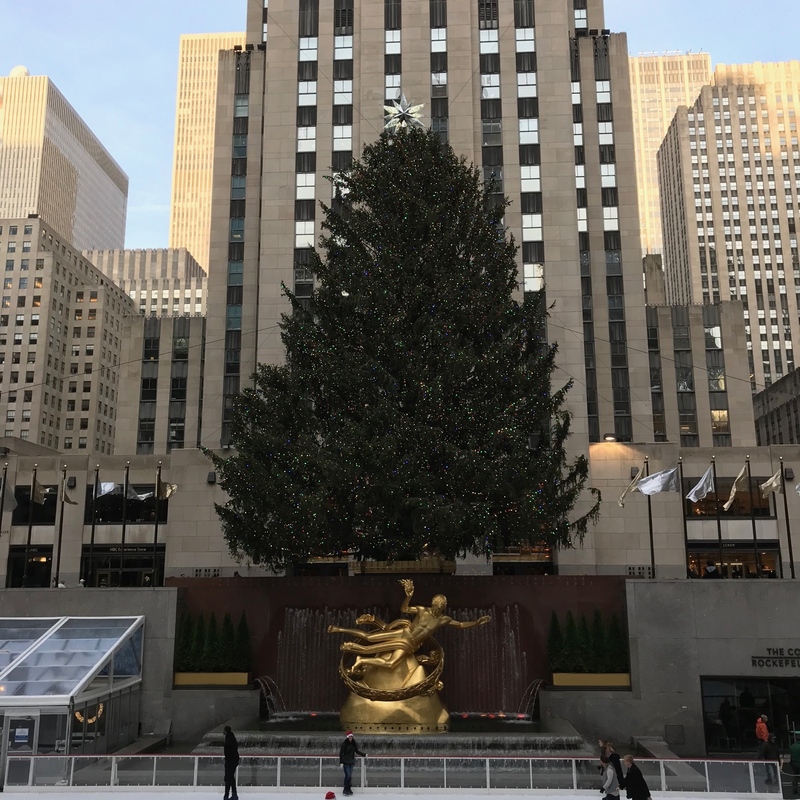 On to the iconic Rockefeller Center tree and rink whose majesty never disappoints. 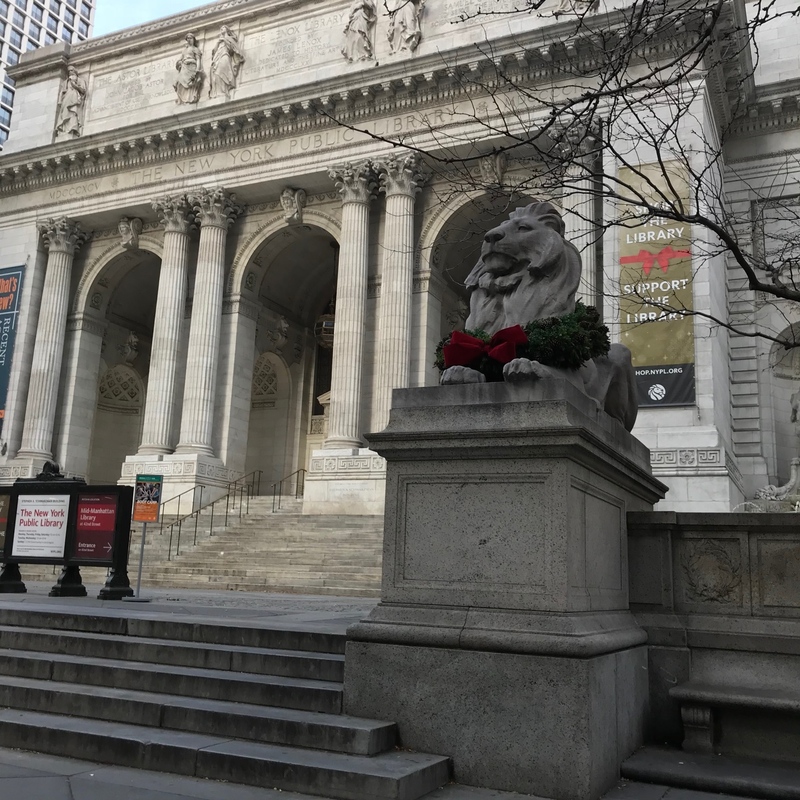 Even the lions guarding the NY Public Library are decked out in holiday style. 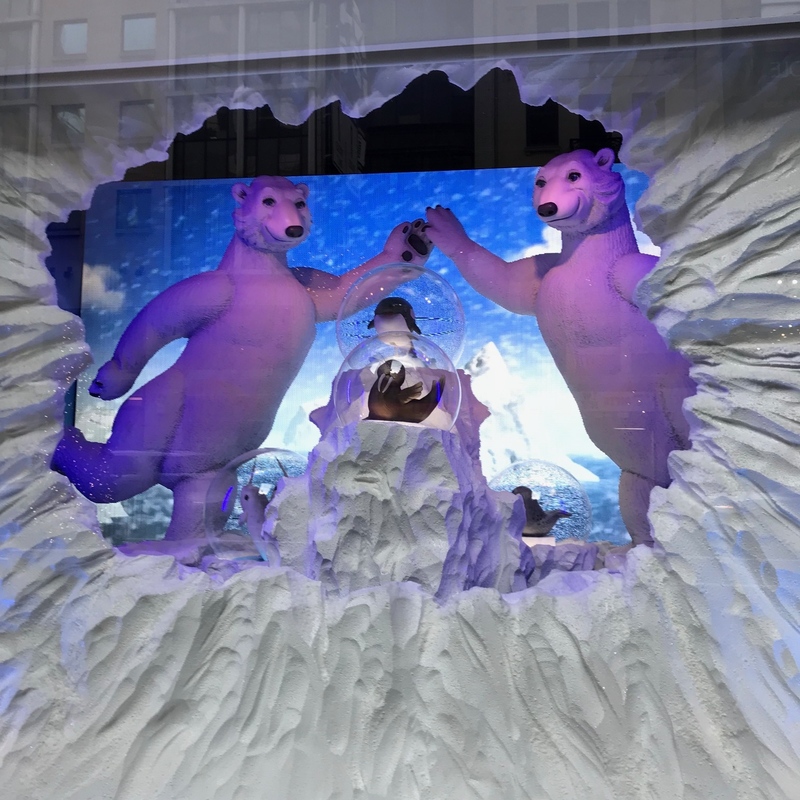 Lord & Taylor brings out the kids in all of us. 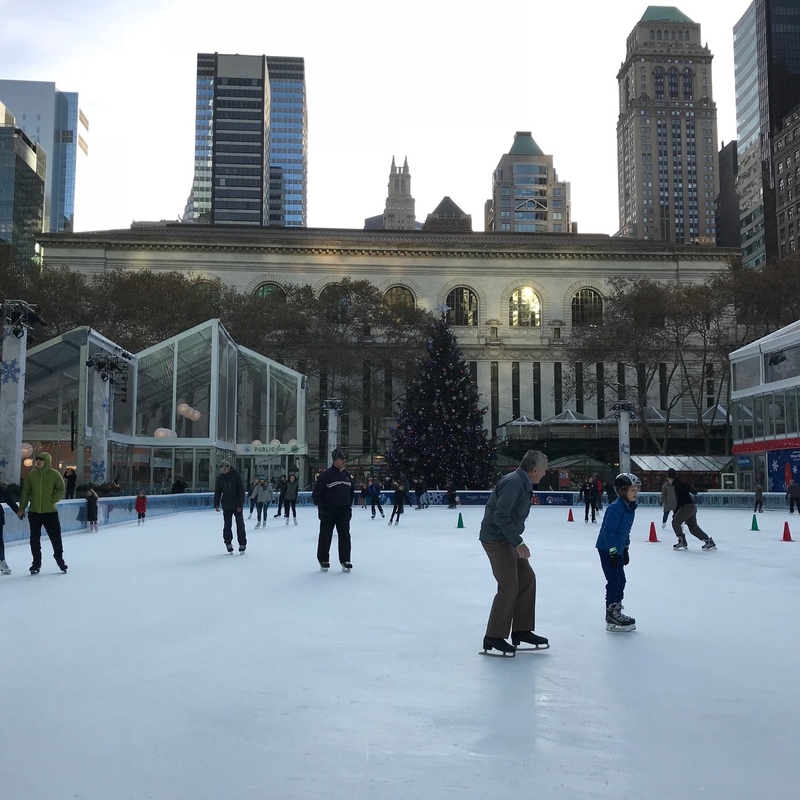 Bryant Park is another picturesque shopping and skating holiday haven. 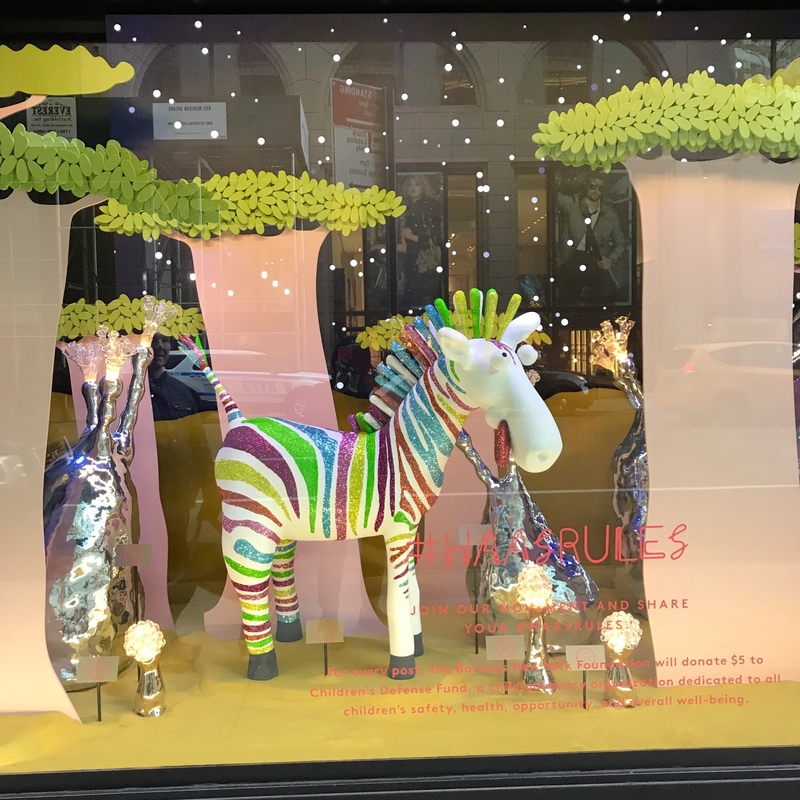 Barneys NY on Madison Avenue is quite altruistic, but not as clever as usual. 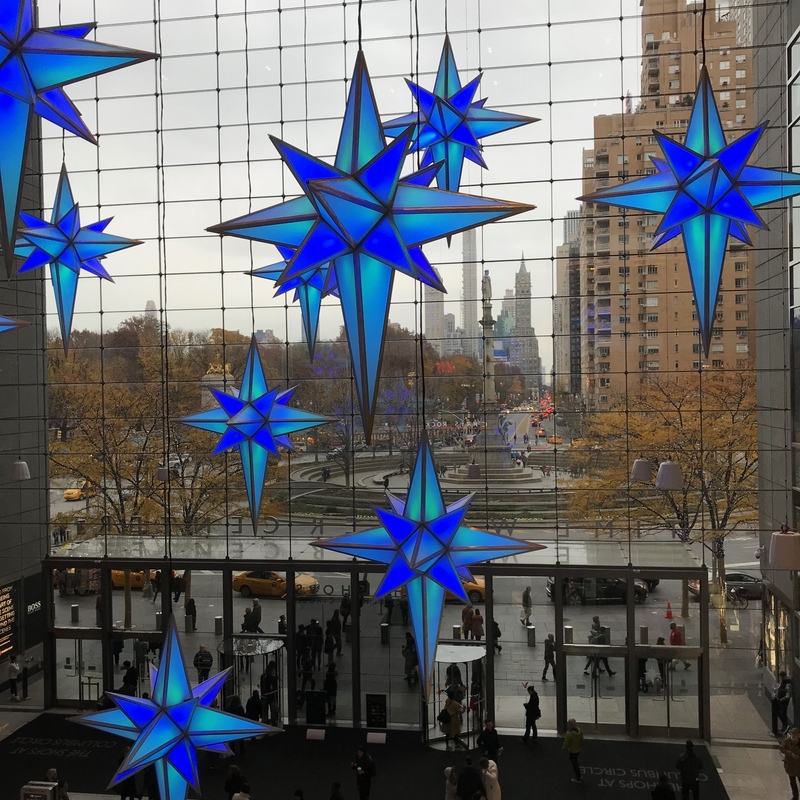 The Time Warner Building at Columbus Circle always makes the season colorful. 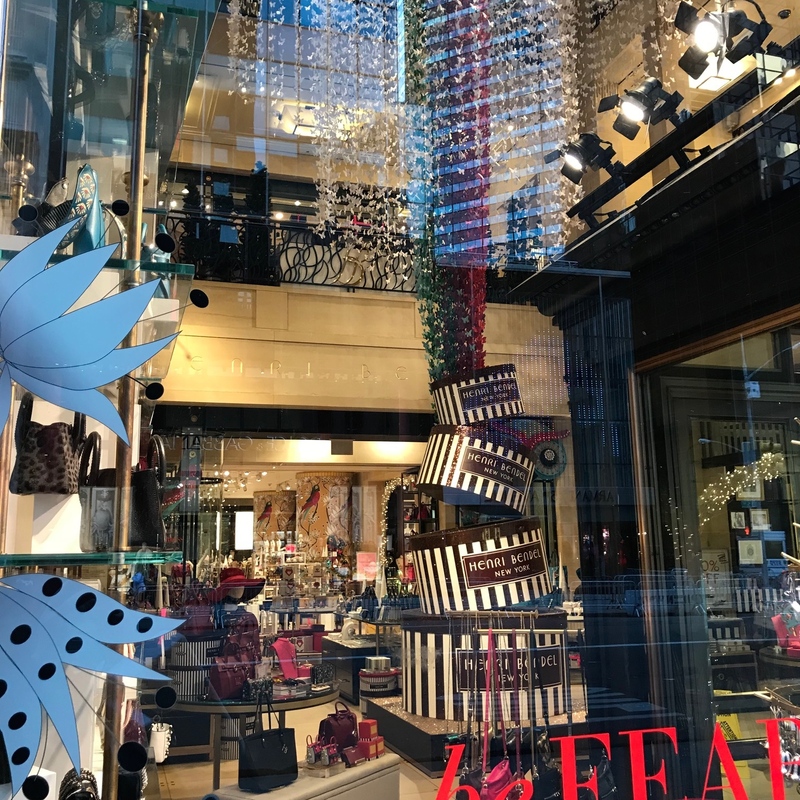 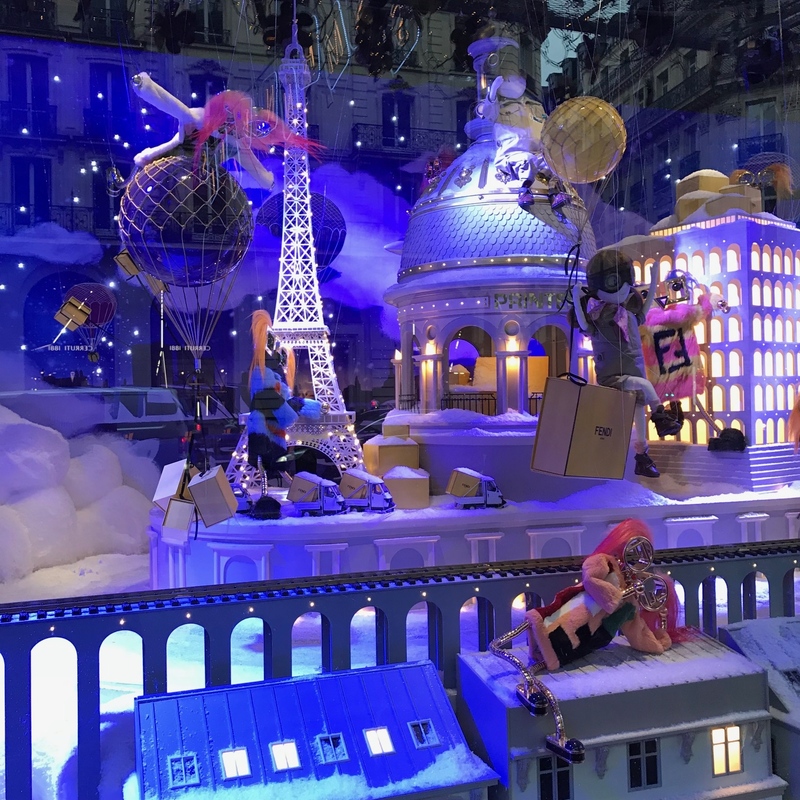 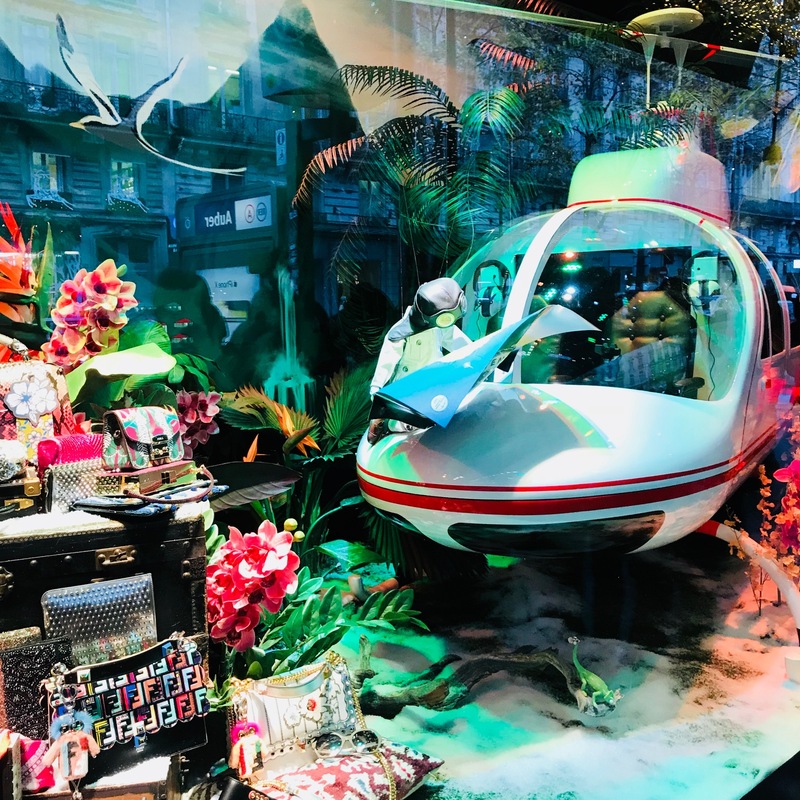 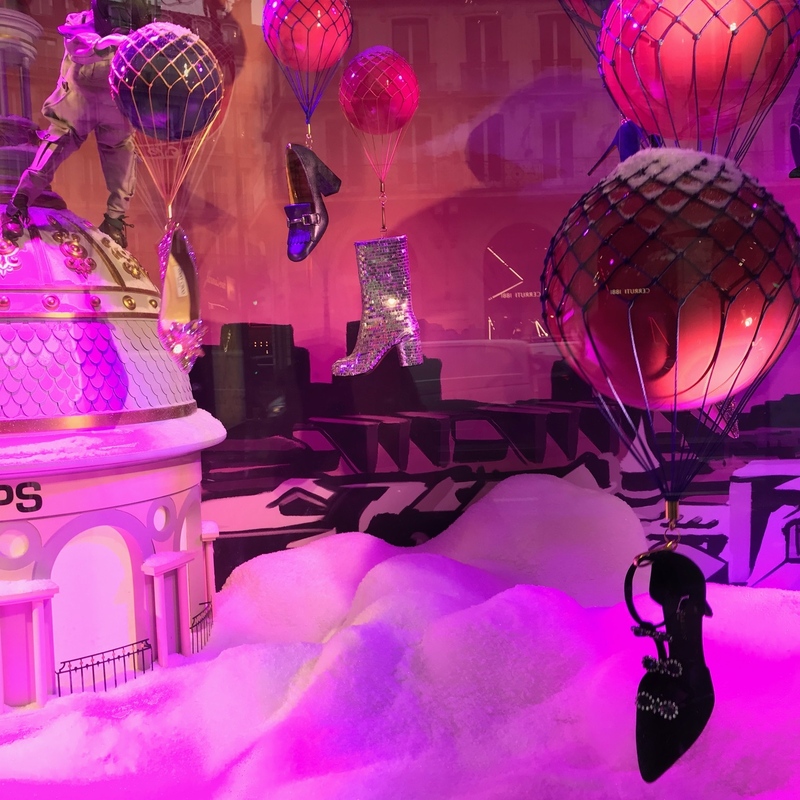 While we are in the holiday spirit, here’s a snapshot of the Parisienne holiday windows where the department store, Printemps, was all about conspicuous designer consumption. 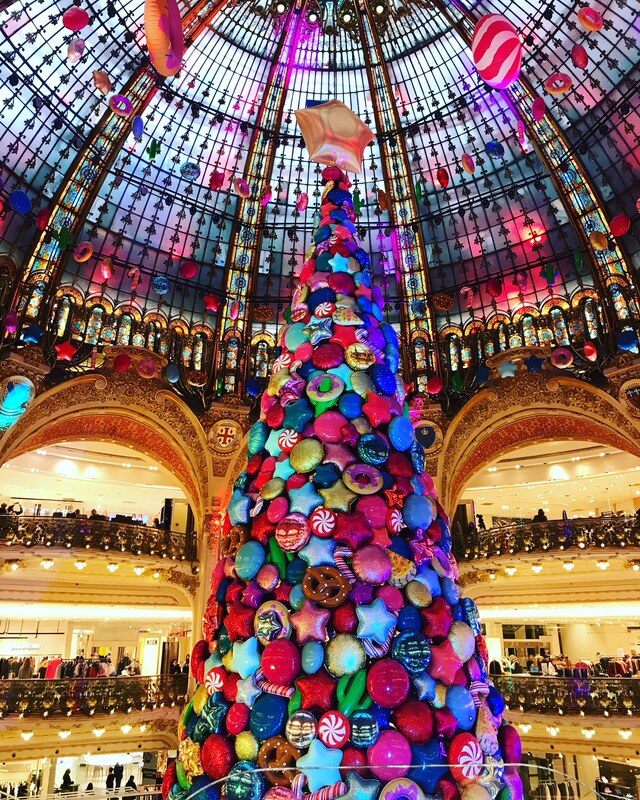 To close out the holiday tour, the elegance of the Galleries Lafayette main floor and rotunda.